The Renault-Nissan Alliance, continues to make progress in its commitment to closing the gender gap, with both companies reporting a rise in the percentage of women in manager-level positions globally in 2013 compared with the previous year. accounted for 18.4 per cent of manager-level positions globally in 2013, up from 17 per cent in the previous year. Women also accounted for 19.3 per cent of the company's 2,000 global key positions, up from 17 per cent in 2012. 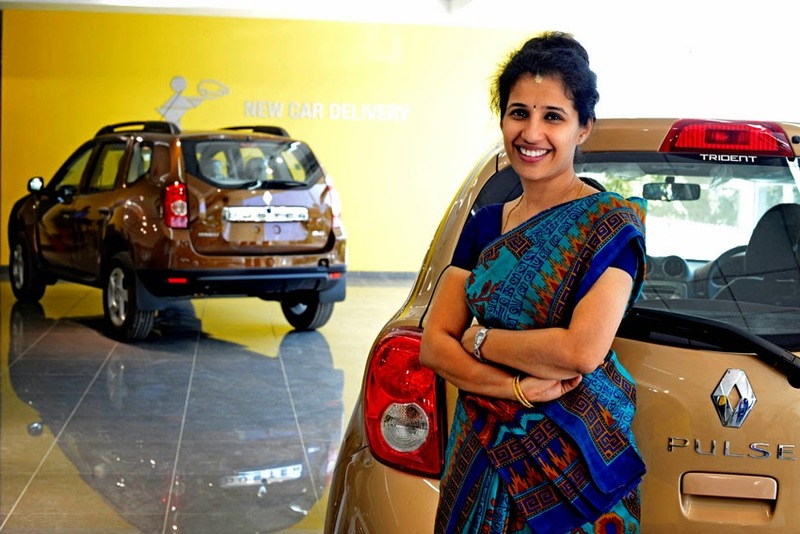 Globally, Renault remains a leader in the auto industry in terms of women at the senior executive management level. Two out of its ten-member executive committee are women - Mouna Sepehri, Executive Vice-President of the Office of the CEO; and Marie-Francoise Damesin, Executive Vice-President for Human Resources. Damesin is also Renault-Nissan Alliance Executive Vice-President for Human Resources. At Nissan, women accounted for 10.6 per cent of manager-level positions globally in fiscal year 2013*, up from 10.3 per cent in fiscal year 2012. In Japan, women at Nissan accounted for 7.1 per cent of such positions, up from 6.8 per cent in the previous year and more than quadruple from 1.6 per cent in fiscal year 2004. By 2017, Nissan aims to raise that figure to 10 per cent in Japan and to 14 per cent globally. Nissan remains an industry benchmark in its home market of Japan, with the percentage of its women managers more than double the national average for large manufacturers. In March, Nissan was recognized as a 'Nadeshiko Brand' by the Tokyo Stock Exchange (TSE) for the second year in a row for its support and promotion of women in the workplace. "The Renault-Nissan Alliance remains committed to fully leveraging our global talent pool and closing the gender gap, and we are seeing incremental progress toward that goal every year," said Carlos Ghosn, Renault-Nissan Chairman & CEO. "Hiring and promoting women is the right thing to do for society - and for our business, because women decide or influence the overwhelming majority of car purchases globally." Earlier this year, Nissan debuted its 'Ladies First' dealership, mostly managed and staffed by women. The dealership in the Tokyo suburb of Fuchu features stylish interiors, a nursing room and a spacious area where children can play and is aimed at making the shopping experience more welcoming to women and first-time buyers. Nissan will roll out 300 'Ladies First' dealerships across Japan by next year. It is also considering expanding the program to overseas markets.